Epure is a state-of-the-art five-band equalizer designed to provide the absolute finest audio quality within the domain of digital audio processing. It is carefully tuned with Flux:: proprietary “State-Space” technology, to preserve the optimal signal to noise ratio independently from the parameter settings. Epure prevents the signal from deteriorating when the gain is reduced. Epure is a powerful go-to processor for the most demanding equalizing and filtering tasks conceivable. 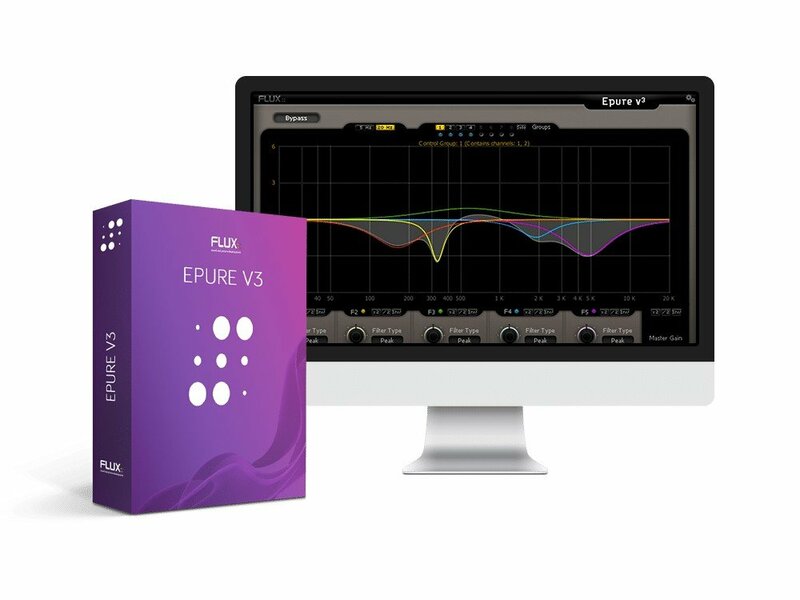 With an algorithm designed to deliver the highest quality achievable in digital equalizing processing today, Epure v3 is a powerful go-to processor for your day-to-day session works, and a sharp-edged surgical precision tool for the most demanding equalizing and filtering tasks you may encounter. In addition, 4 MS decoders/encoders and up to 8 internally routable processing groups present the ability to process multiple explicit tiers from within one single plug-in instance, allowing for complex processing assignments such as separate processing of Mid and Side components. OSC support for remote control of the plug-in parameters using OSC enabled devices and software applications such as TouchOSC for iPhone / iPod Touch / iPad. Epure V3 includes licences for AU / VST / AAX Native / AAX DSP / AAX AudioSuite.